In the last decade, with the success of review sites and online commentaries and the increased accessibility of travel information online, the job of a traditional travel journalist is being challenged. Travel Journalism closely examines the impact of digital media and technology on this specialist area of journalism and how professionals working in travel media today are adapting to it. Bryan Pirolli draws on a wealth of professional experience to present both practical guidance and a theoretical analysis of travel journalism. Through interviews with content providers – including journalists and bloggers – the book explores new ways of thinking about this profession. Looking at the relationship between travel journalists, social media and influencers, the book asks how travel journalists might rethink their work for more constructive purposes and how they should respond to innovations like the ever-growing sharing economy. The book also explores how journalistic ethics can be preserved as concerns around 'sponsored content' and 'paid influencers' remain widespread. 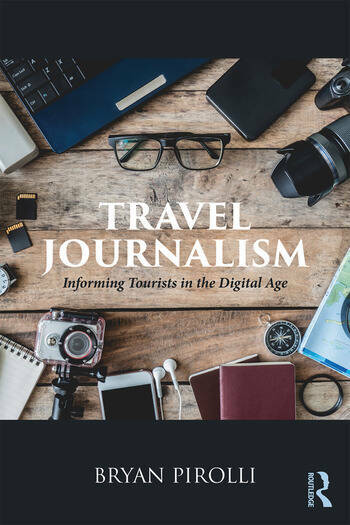 For students and professionals looking to better understand the role of the travel journalist in the digital age, this book is an invaluable resource. Pirolli comprehensively assesses the challenges and the opportunities for success that actors in travel media are now presented with and encourages readers to proactively embrace them. Bryan Pirolli holds a communications PhD and is a researcher with the Sorbonne Nouvelle Institut de la Communication et des Médias, France. He lectured at London College of Communication and Birkbeck College while studying travel media. He has worked as a journalist for publications including CNN Travel and Time Out Paris.